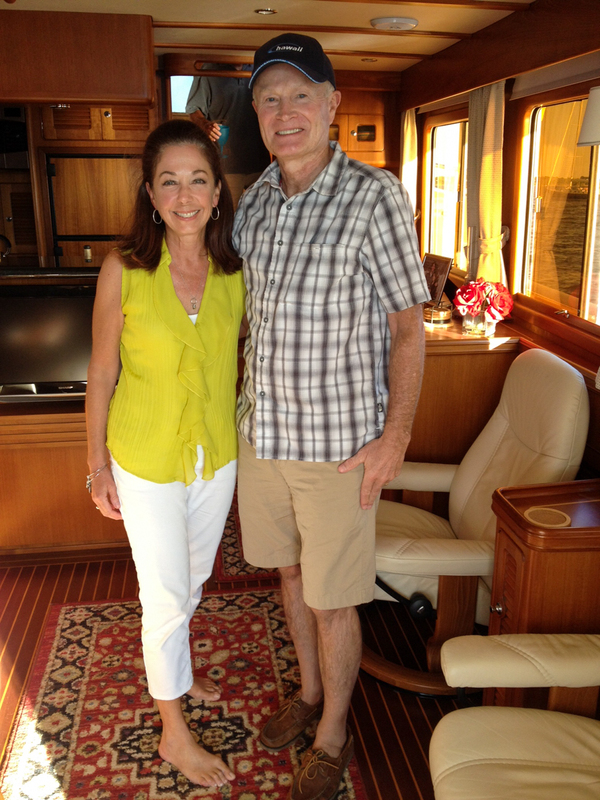 After a wonderful month at the lake we packed up a rental car and drove to Washburns Marina in Solomons, MD. 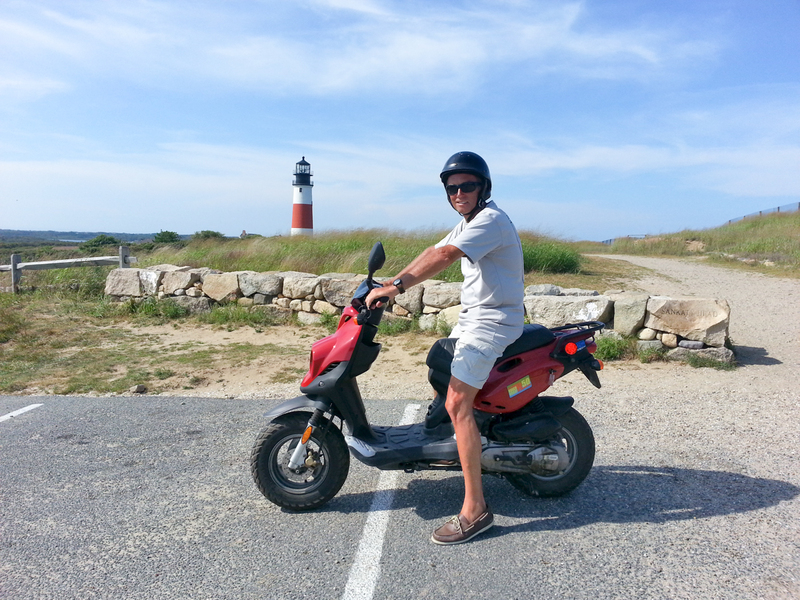 A couple of days of provisioning and we were on our way taking the slow path to Maine. 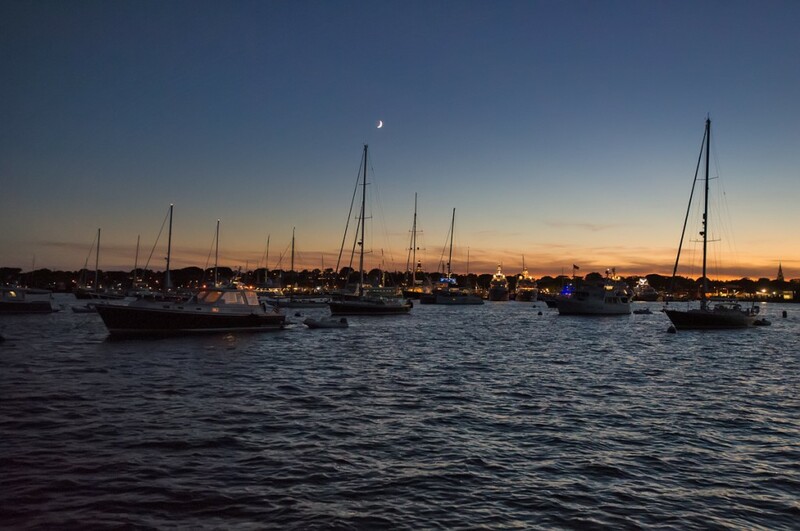 Our goal was to get to Southwest Harbor Maine around September 20 and as I write this we are sitting in Gloucester Harbor on September 7 so we are making progress. The new master stateroom cabinets installed at Washburns match the existing perfectly and all of the other contracted maintenance work was completed. Only the Garmin chart plotter warranty replacement was not ready as Garmin did not ship it in time. The unit installed last year works but quits if you flush the head, use the thrusters or engage the anchor windlass. Quirky to say the least. Garmin has agreed to allow Hinckley to replace it this fall so we have learned to reboot the system after each flush. Our first two days traveling were perfect. Light breeze and brilliant sky. 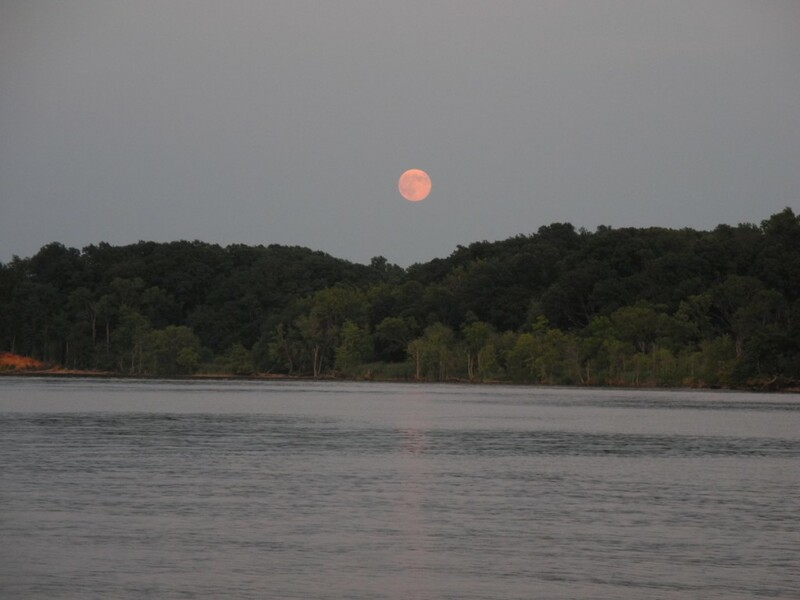 Night one was spent on the Sassafras River and we had the privilege to witness the “supermoon” while at anchor. From the Sassafras it is an 11 hour run to Cape May NJ. 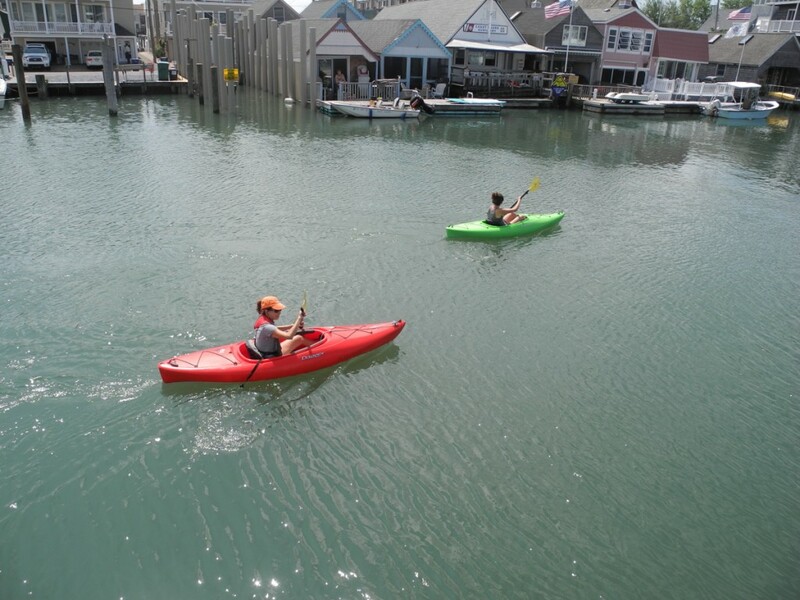 The trip takes us through the C&D canal and down the Delware River to the Cape May Canal. 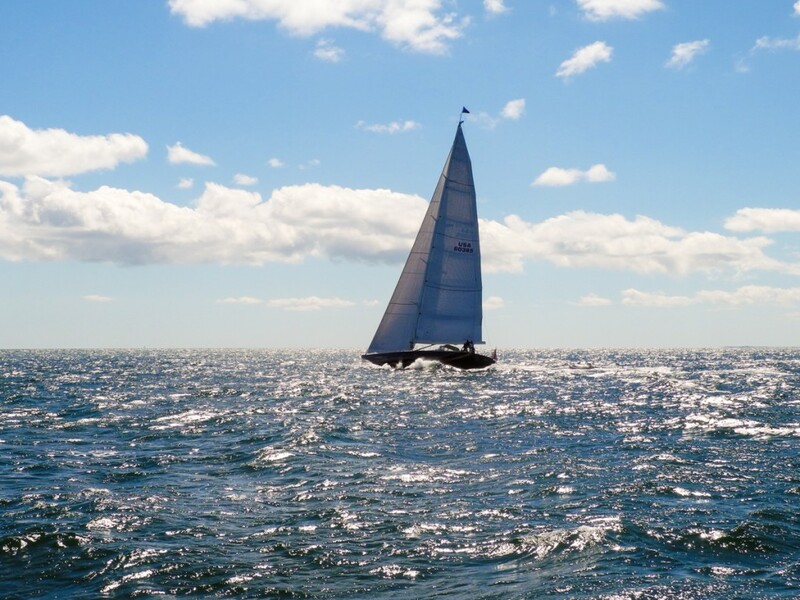 We were last on the C&D in 1988 when we purchased our classic, 1966, Morgan 34 sailboat and sailed her back to Long Island Sound. That trip also showed us how dangerous alcohol stoves can be as we managed to catch the curtains on fire in pea soup fog. This trip was less eventful. The C&D is an interesting waterway. 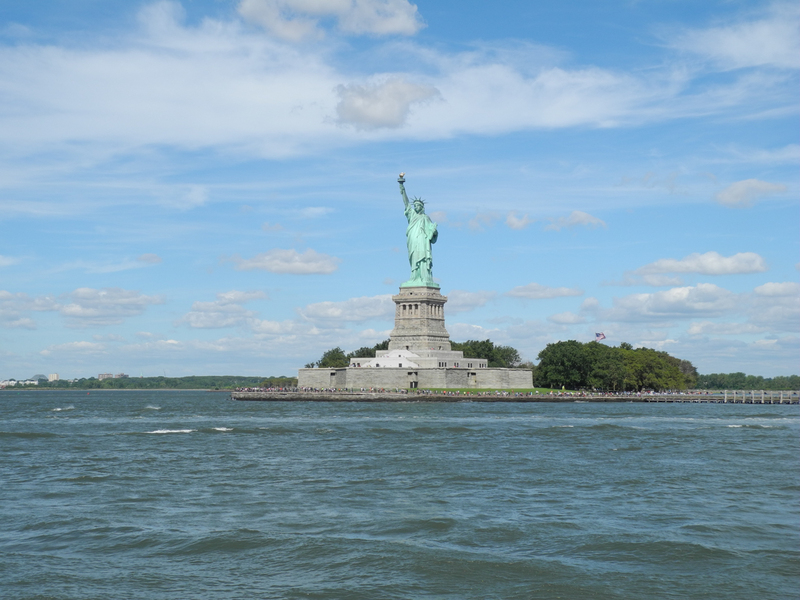 Originally conceived in the 1700’s actual construction took years with lack of funds a big impediment. Finally in 1829 it opened for business. Since then numerous improvements have been made to accommodate larger ships and the current version is 14 miles long, 450′ wide and 40′ deep. The lower Delaware river does nothing for us and we powered down it as quickly as possible. 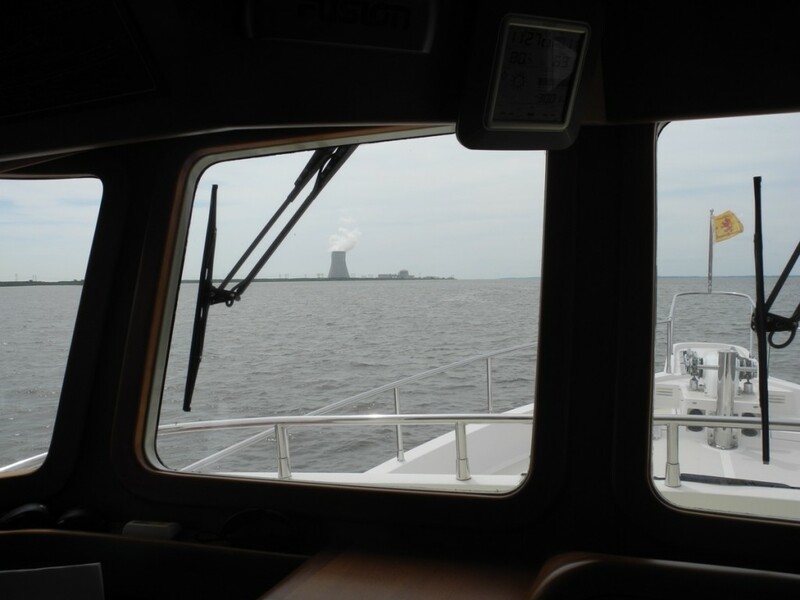 On the NJ side is the Salem Nuclear Power plant giving us another good reason to move quickly. Cape May is a fun town and since we had not been there in decades we were looking forward to our stay. 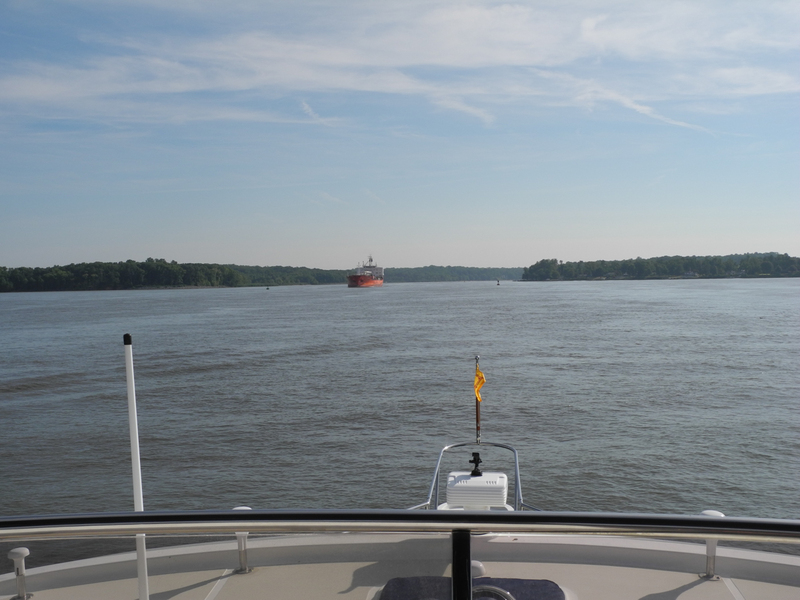 We had originally planned to anchor in the harbor and we did the first night. However upon waking in the morning we found a sailboat practically tied to our stern and decided to grab a slip at South Jersey Marina. It was perfect. Tara decided to drive down from Philadelphia to join us and we spent a fun two days visiting the beach and walking the streets looking at the old Victorians. 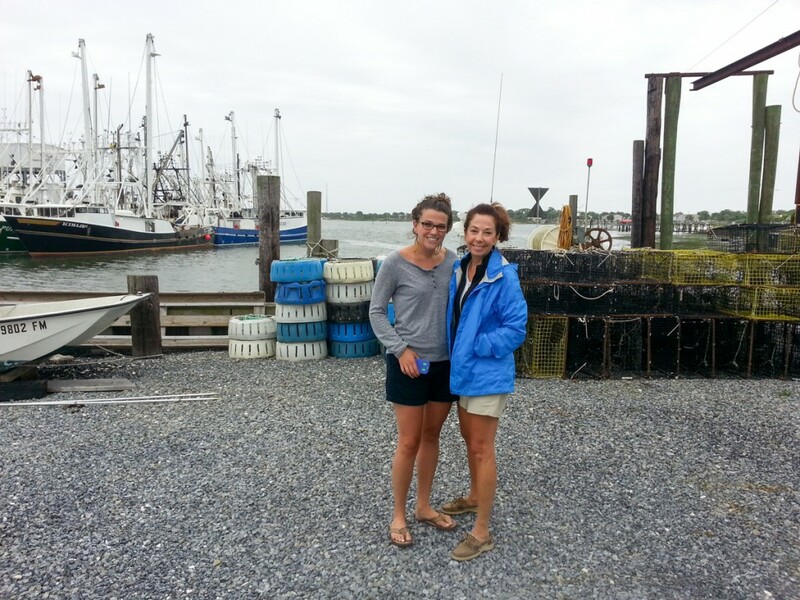 Cape May still has a sizeable commercial fishing fleet and the boats looked to be in good shape. There was a superb retail fish market a short walk from the marina which we visited both for dinner and fresh fish. We decided to make a big push from Cape May and travel the entire length of New Jerseys Atlantic coast and anchor somewhere behind Sandy Hook. We left Cape May shortly before 10AM and headed north. Passing Atlantic City the first building we noticed was Revel Casino. It was the newest and already it has closed. We rounded Sandy Hook after midnight and found our preferred anchorage inhabited by dredges. The only other choice at that hour was tucking in behind the Atlantic Highlands jetty. We found a spot and dropped the hook at 1:30 AM with the NY skyline to the north. The next morning dawned clear and cool. It was not a typical August day in NJ. 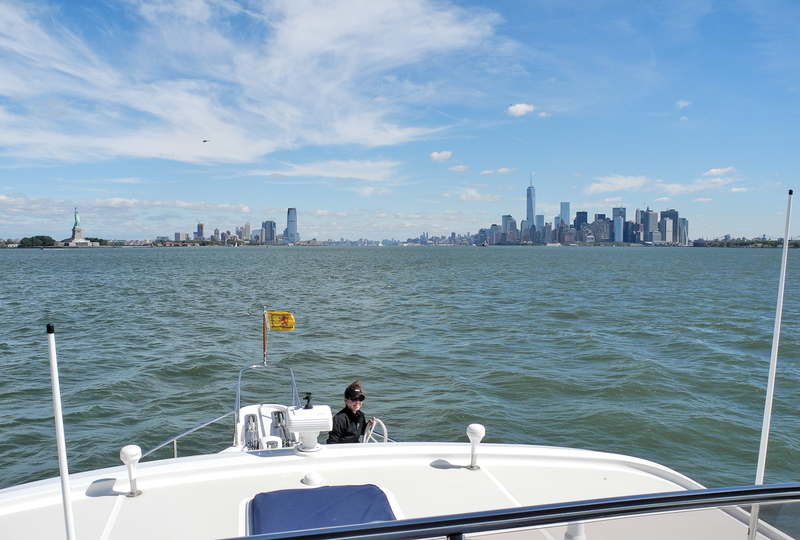 We had reservations for Liberty Landing Marina in Jersey City. 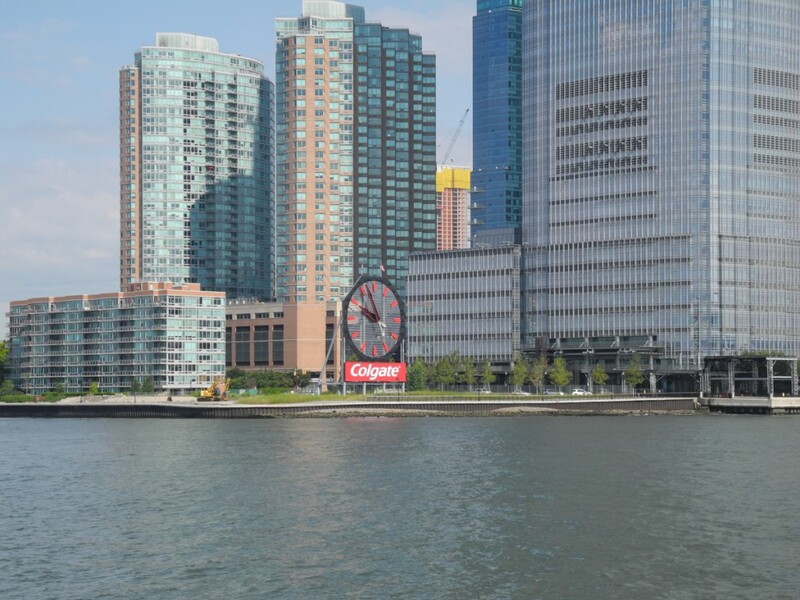 We know it well having kept a power boat there for two years and of course because I worked in Jersey City. 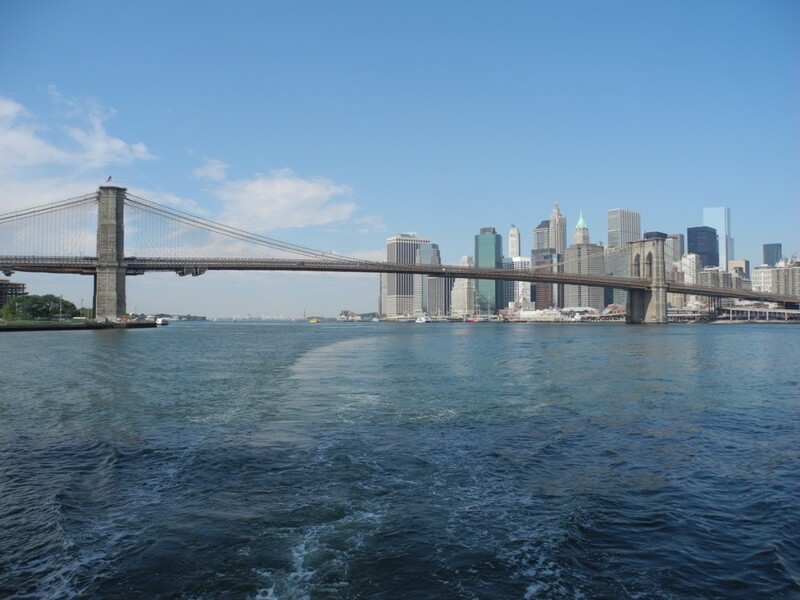 The view of lower Manhattan is always thrilling no matter how often you see it. By water its a powerful sight to behold. Our two days at Liberty Landing were busy. 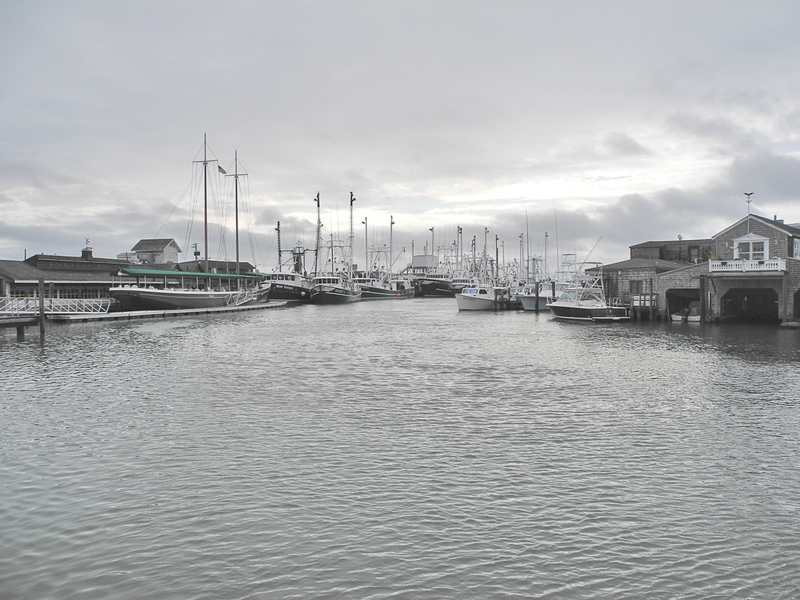 Friday we walked the state park that abuts the marina. It is a great public asset and draws visitors from all over. You can access the Statue of Liberty and Ellis Island from the Park or just enjoy the over 1200 acres of landscaped landfill that was once the terminus of the Central Railroad of NJ and the Lehigh Valley Railroad. 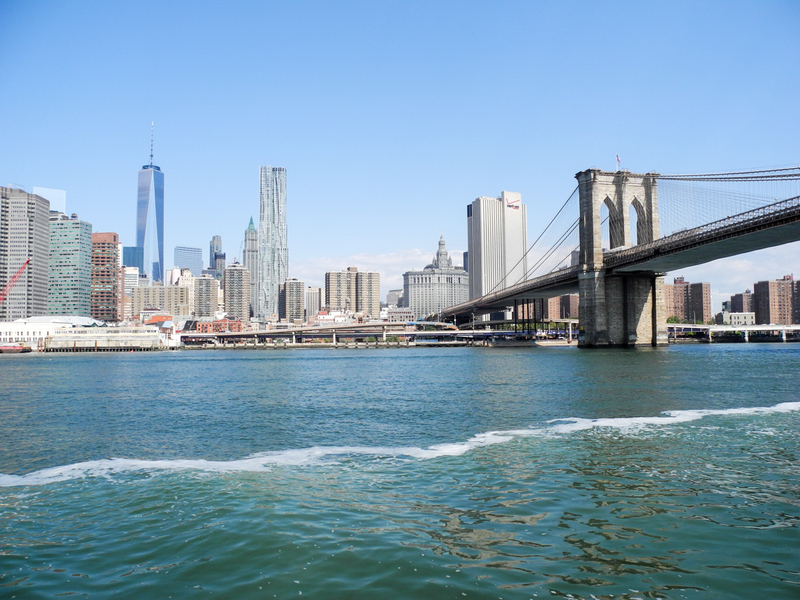 If you were alive on 9/11 and have any connection to New York you cannot help but notice the void in the Manhattan skyline. I watched that day unfold from my old office in Jersey City. I will never forget it and we made plans to visit the recently opened 9/11 Memorial and Museum. We took the ferry directly from Liberty Landing to lower Manhattan and walked to the museum. We had 3:30 entrance reservations which we had purchased online. Suffice to say it is a powerful museum and should be visited by all. We spent hours viewing the exhibits and watching the films. That night we got together with an old business friend and his wife at a nice Italian restaurant in the Village. The following night we had dinner with another old business friend and his wife after cocktails on board Big Smile. It was a fun whirlwind stop. 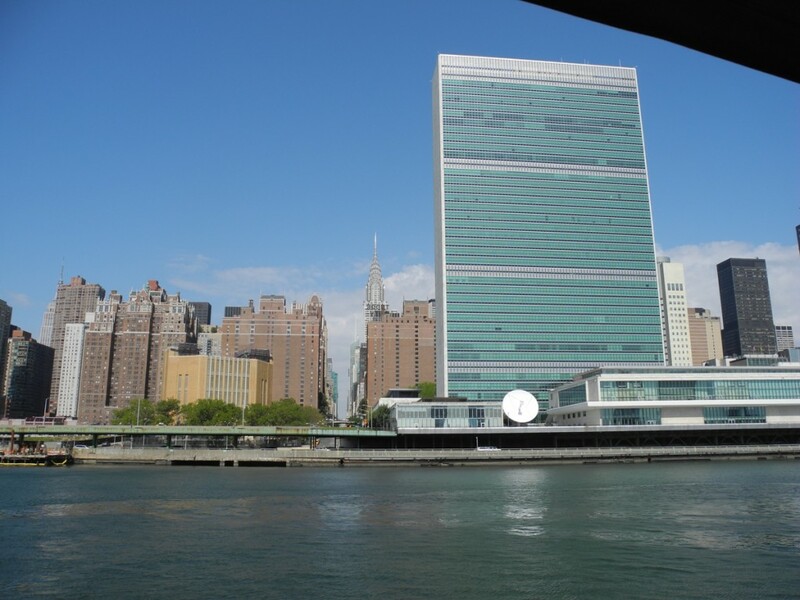 Leaving Liberty Landing we proceeded around the tip of Manhattan and up the East River. Many iconic photos have been taken from spots along the river and I need to post a couple of my own. The day was perfect and we hit the current at the right time. 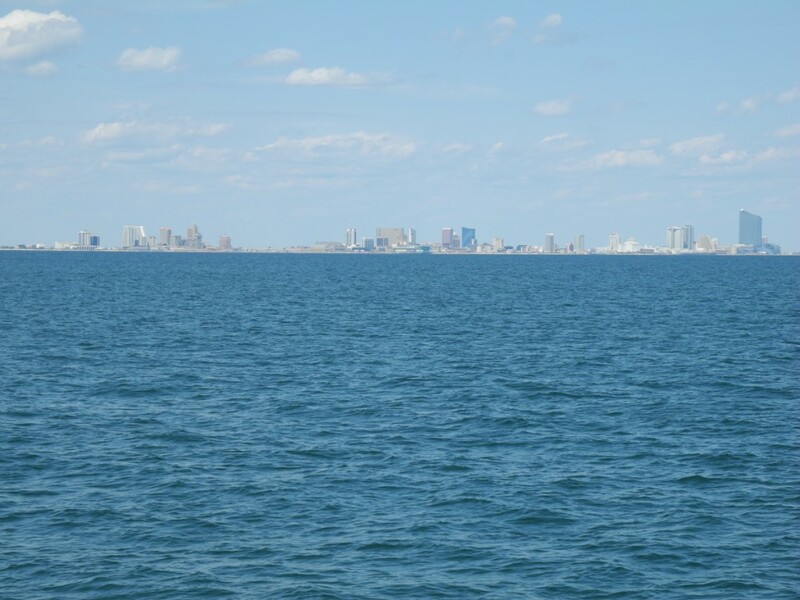 The cruise out Long Island sound was uneventful. 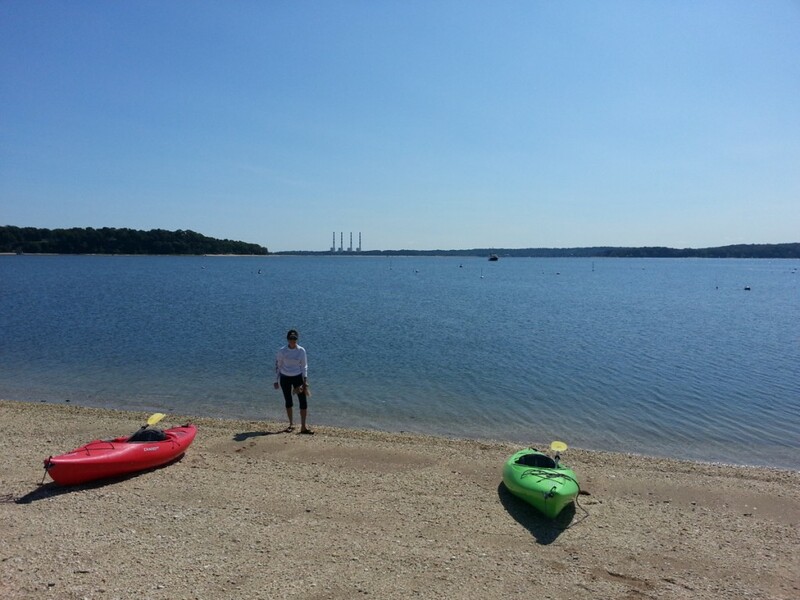 Our goal for the day was Northport on the north shore of Long Island. I had been in contact with a friend I work with at Stratton Mountain and we both wanted to show each other our boats. We managed to raft up the next day and give each other a tour of our respective boats. Jorge’s boat is a brand new Jeanneau Sun Odyssey which contrasts completely with our trawler. It was good to see Jorge and we wished him fair winds. 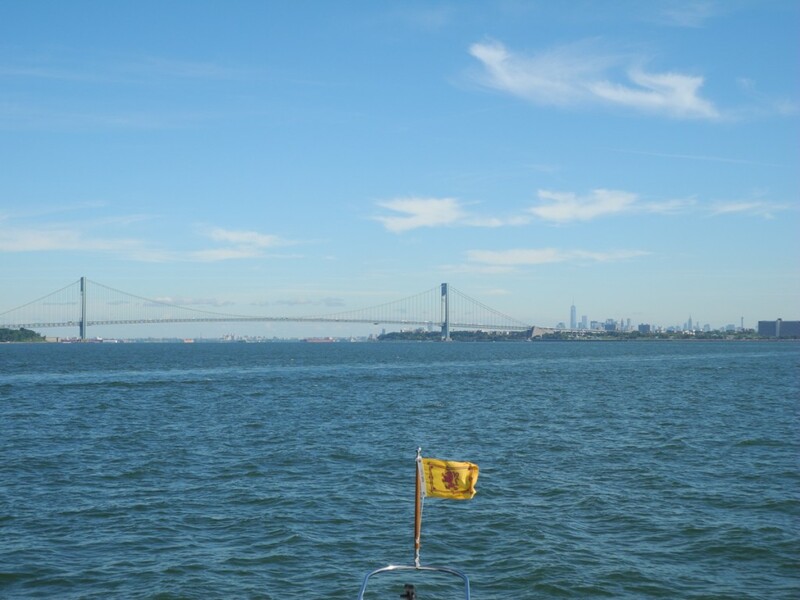 From Northport we continued on to Port Jefferson a harbor we had not seen in decades. 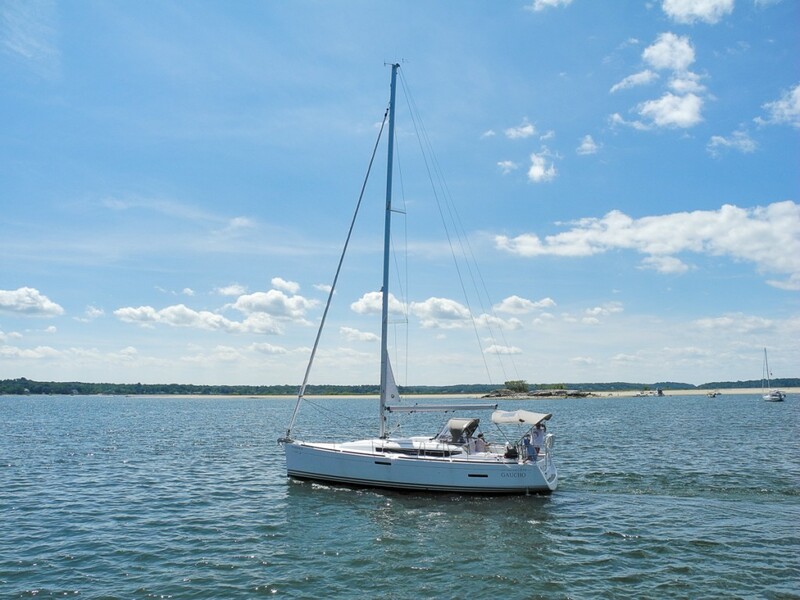 We then bounced across the sound to Connecticut and anchored in a picturesque little community called Sachem Head. 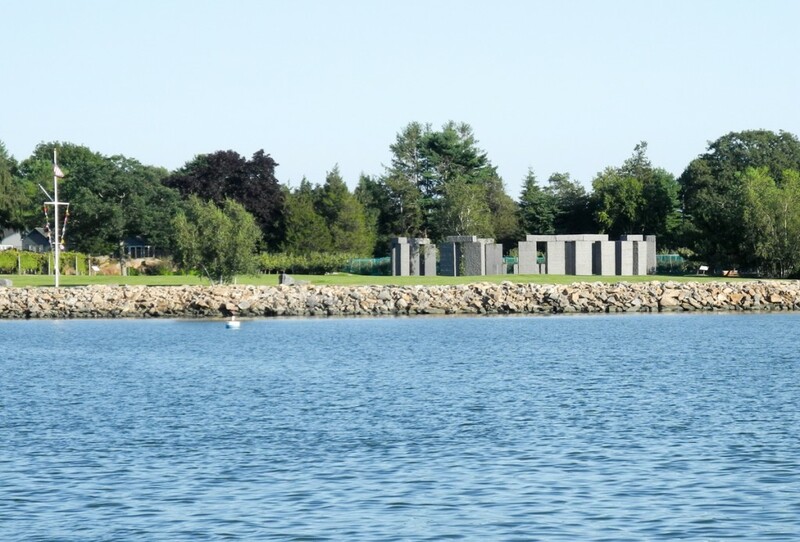 Many beautiful homes dot the shoreline including one with a minature version of Stonehenge. 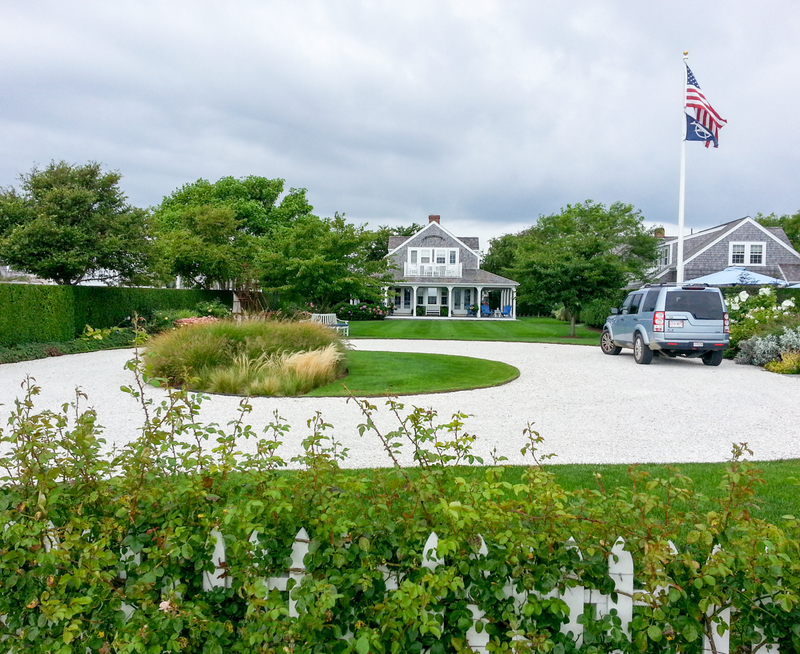 Continuing our trip eastbound we pulled into a small harbor on Fishers Island. 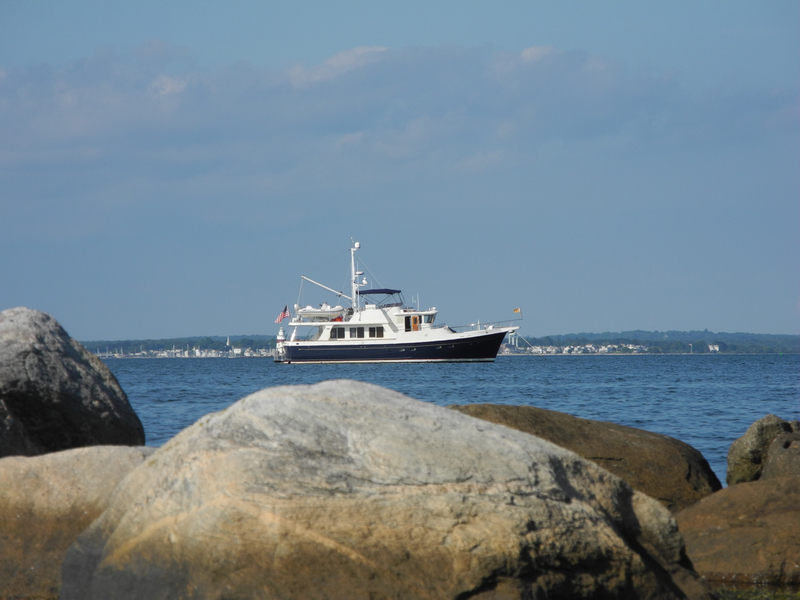 Although only a couple of miles off the Connecticut coast Fishers Island is actually part of Suffolk County NY. It is also very exclusive with a year round population of about 200. Kayaking was superb and the waters were exceptionally clean. Newport RI was our next stop and we were looking forward to going ashore as again it had been many years since we were last there. On approach we came upon two great sights. 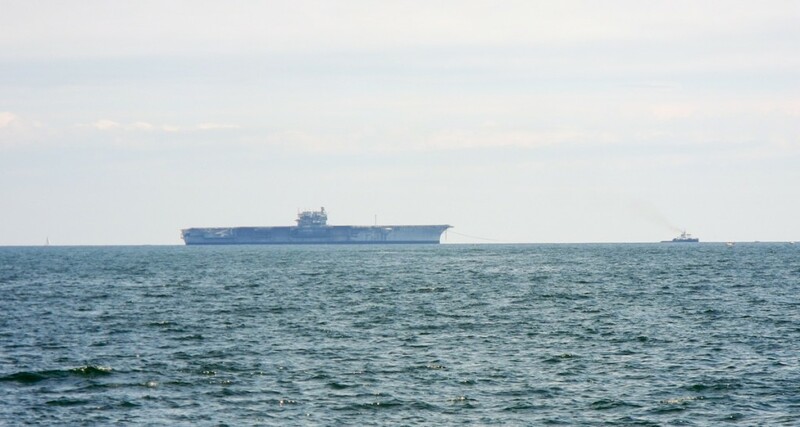 First was the USS Saratoga. This Forrestal class supercarrier was commissioned in 1956, the year we were both born. She was decommissioned in 1994 and after many attempts to preserve as a museum it was sold for scrap to a Texas company. We happened to have seen her as she was being towed out of Newport where she had been stored after decommissioning. Entering Narragansett Bay we came upon the Newport Bucket Regatta. 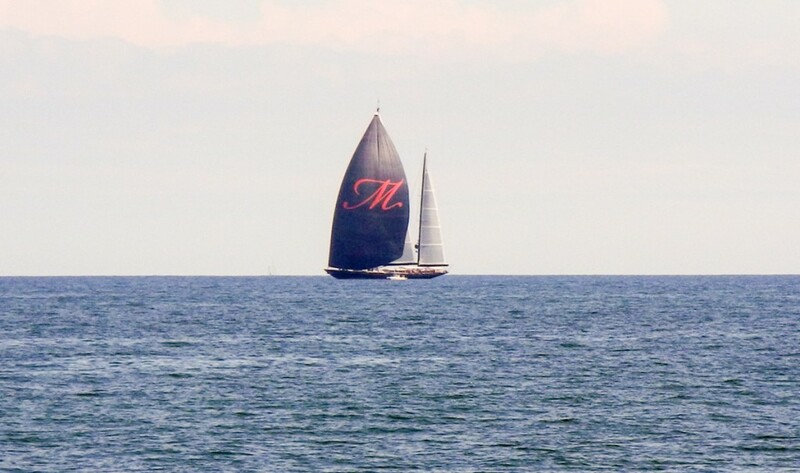 These are not your typical sailboats but very large yachts with professional crews. The photo below is of “Meteor”, a 52 meter monster. 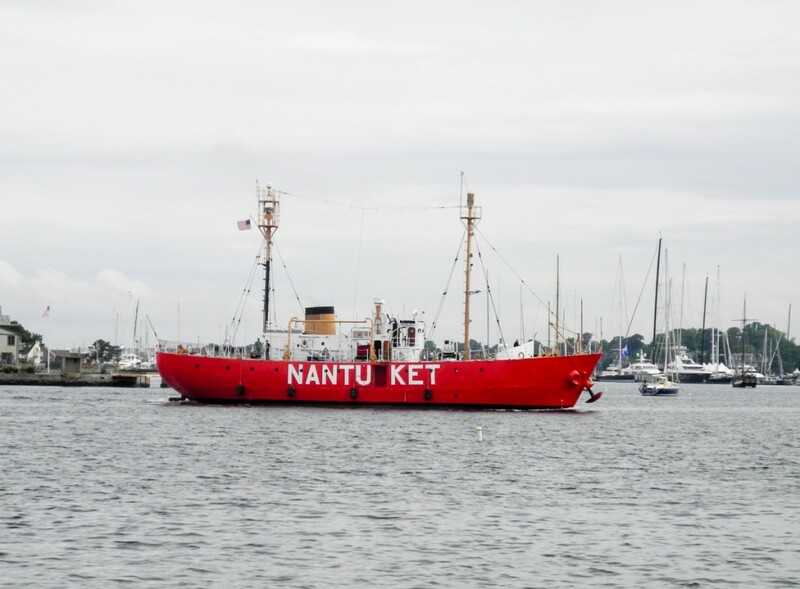 The old Nantucket Lightship has been converted into a luxury yacht and is available for charter. 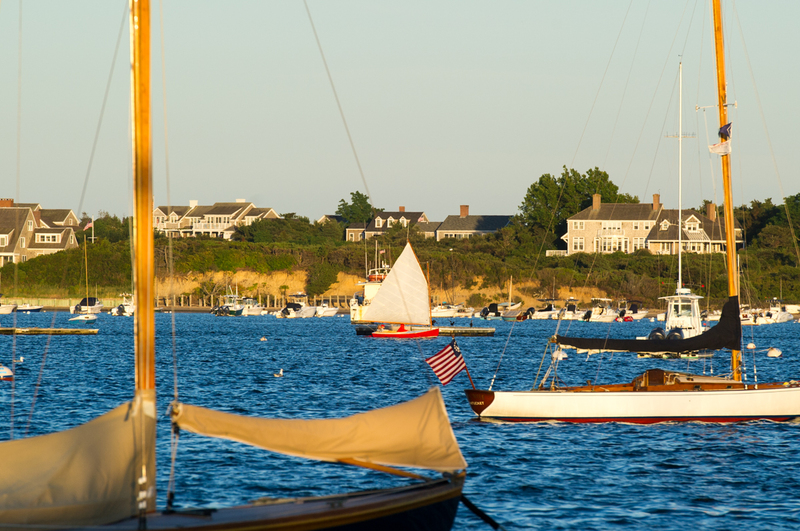 Newport is a fun town and a boating paradise. 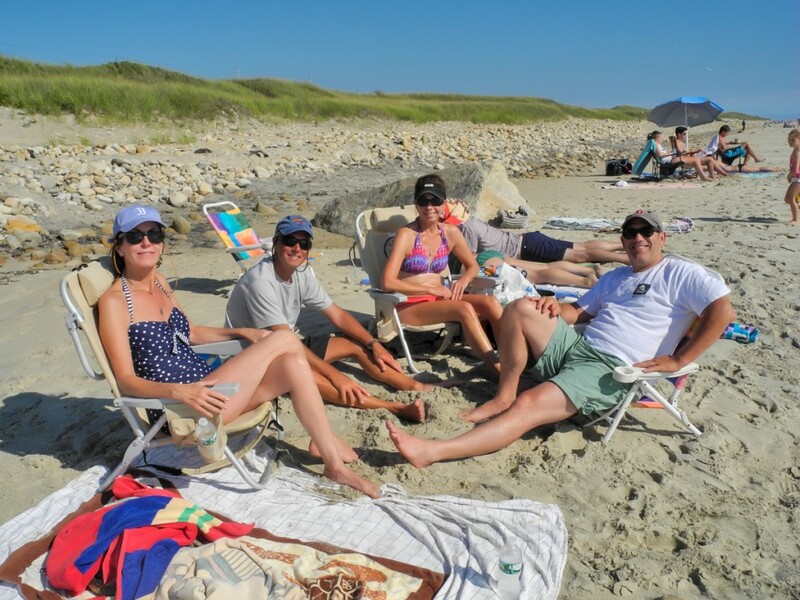 Now it was time to head further up the Narragansett to visit Cath’s brother Barry and his wife Rebecca. 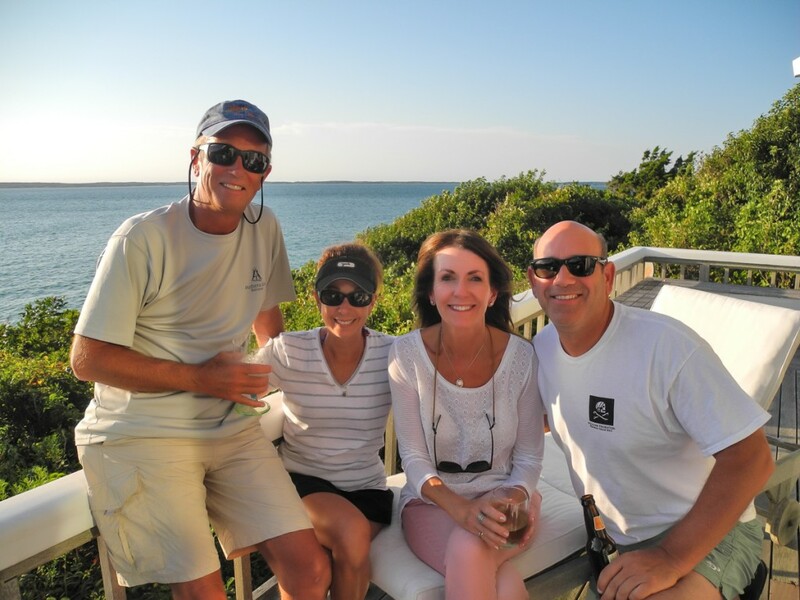 Their beautiful home on Touisset Point has a gorgeous south facing view down the bay and fortunately for us it also is a relatively short dinghy ride from a well protected anchorage on the Kickemuit River. 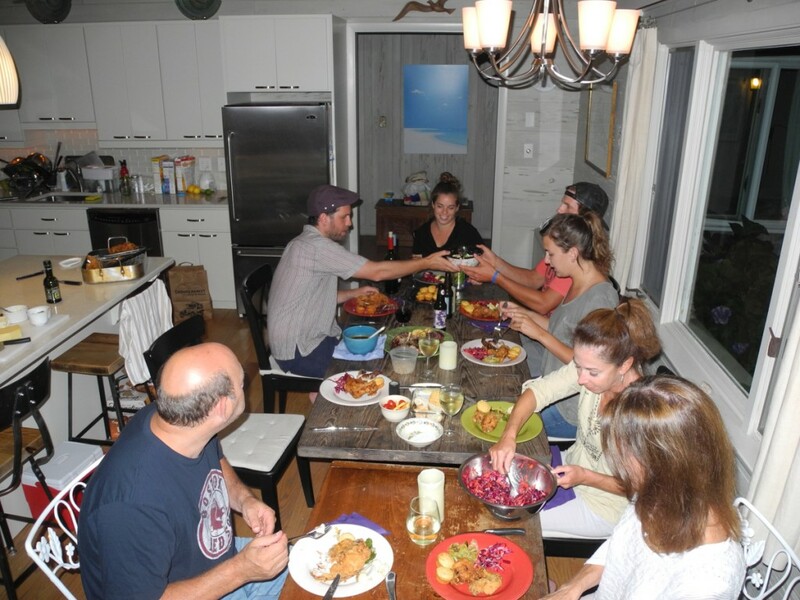 After two great days with Barry and Rebecca we headed back south to Jamestown RI where we were getting together for dinner with some friends from NJ. 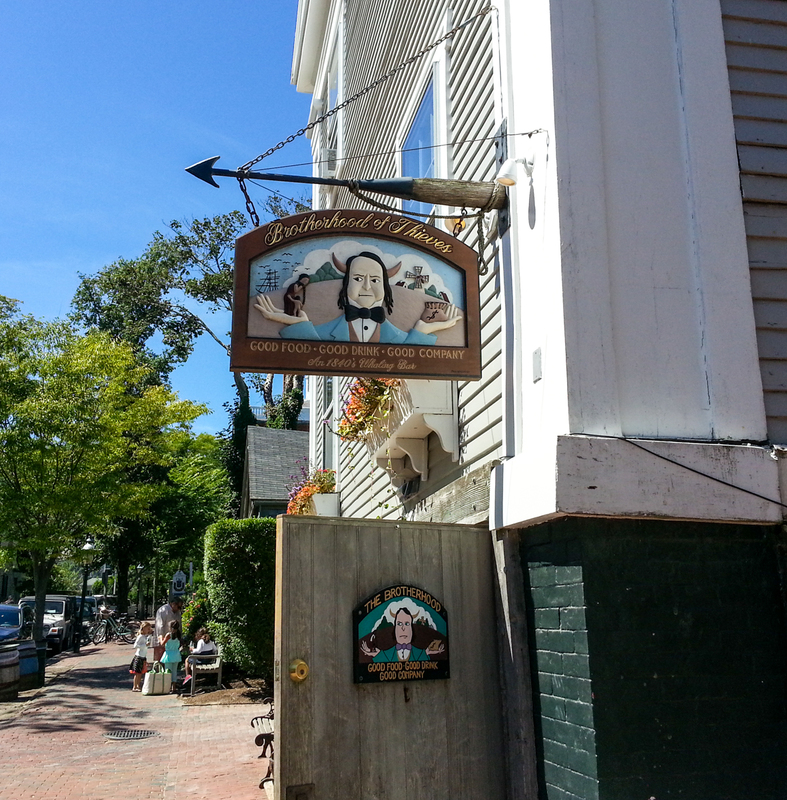 Jamestown is a more laid back town directly across from Newport. We picked up a mooring at Conanicut Marina in the center of Jamestown and had a fun two days exploring the island by foot. Also a great dinner with our friends Gordon and Janet. Leaving Narragansett Bay we headed east to spend a few days on Marthas Vineyard with my cousin Nance and her family. It was a fun 7 hour run which took us up Vineyard Sound and past Cuttyhunk Island and the other islands of the Elizabeth Island chain. Interestingly all but two of the islands are owned by the Forbes family. Cuttyhunk and Penikese are the exceptions. Our Vineyard destination was Oak Bluffs harbor as we had slip reservations at the Oak Bluffs Marina. We got a great slip assignment closer to the jetty and away from the town noise. 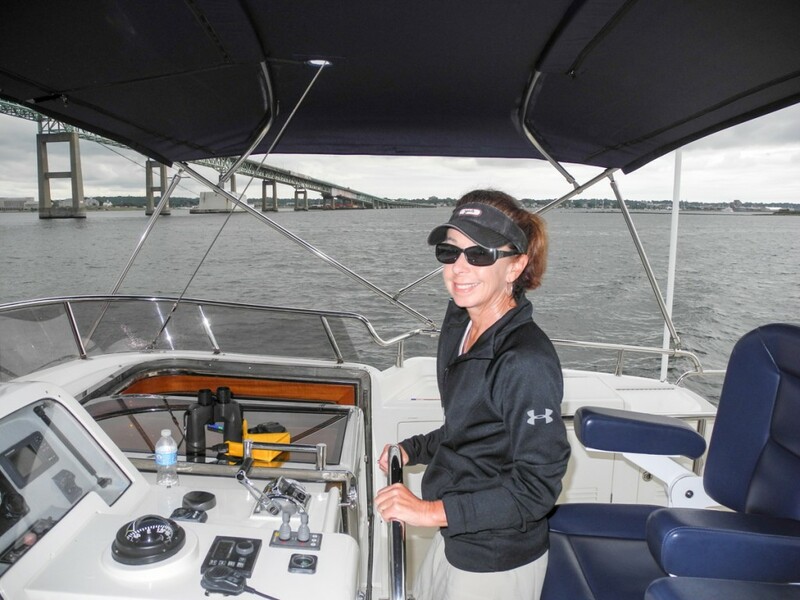 Not long after securing the lines and plugging in the electric Nance and her daughter Kelly were on board. The next three days and nights we caroused with my cousin, her husband Rob and two grown children Kelly and Dave and their respective boy/girlfriend. It was a blast. 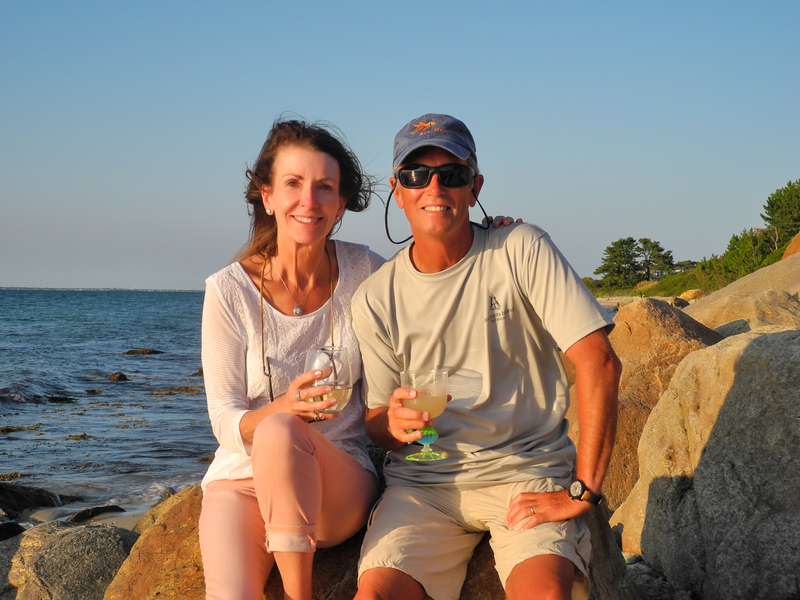 They have been vacationing on the Vineyard for many years and know it inside and out. We had only been there once before. 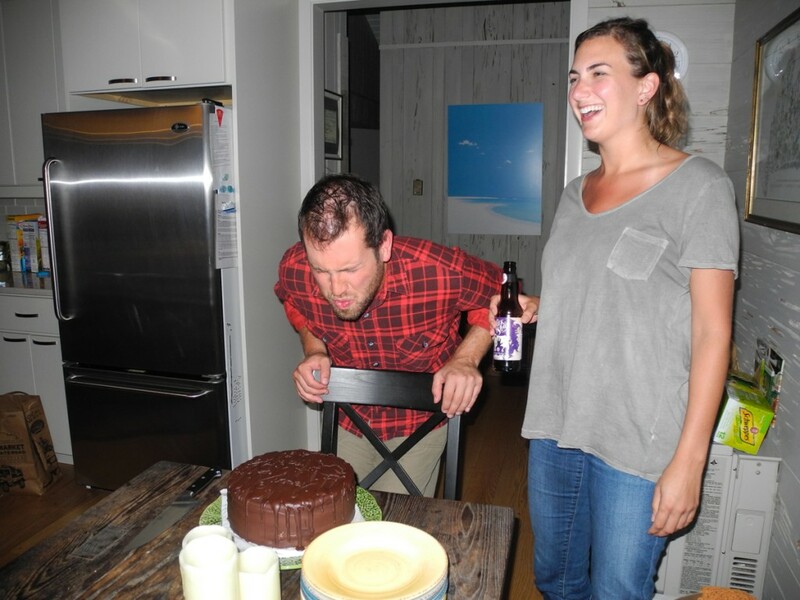 I will let the photos below show how much fun we had. Cath and I thank Nance and family for being such gracious hosts. Eventually we had to leave and head to Nantucket. It’s an easy 4 hour motor eastward and upon arrival we contacted Nantucket Moorings for our mooring assignment. They run a first class mooring operation with clean, sturdy gear. We had reserved five nights and were glad we did. We fell in love with the island and its architecture. 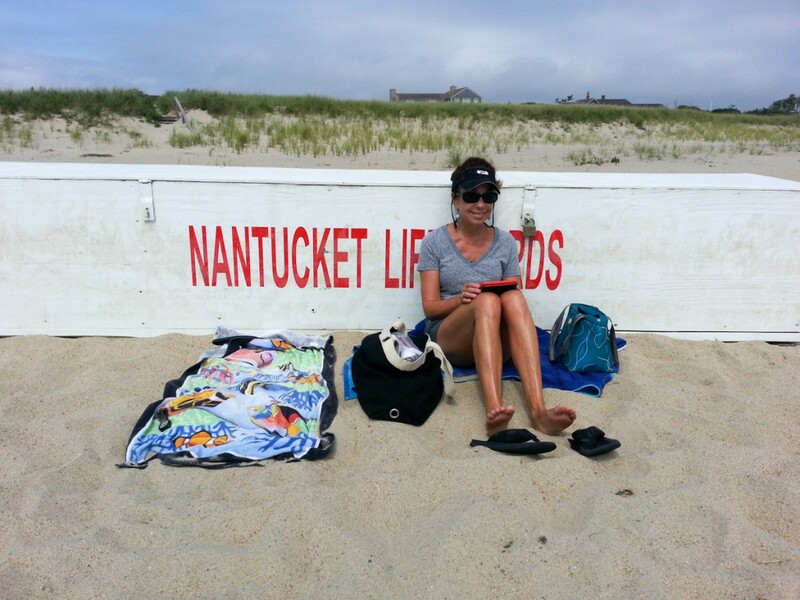 We learned there is an architectural code as well as a dress code so of course I purchased my Nantucket red hat. We rented a “barely” two up scooter for a day and also bought a three day public bus pass. Both modes of transport worked well and we got to see most of the island. There is certainly no shortage of money here but what impressed us was the access to the beaches. They were all different but all accessible. 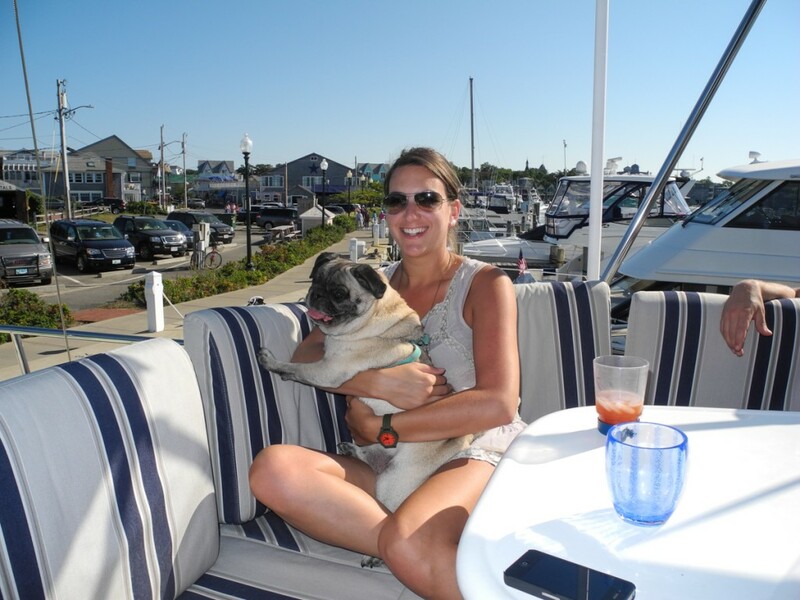 Nantucket ended the month of August for us and we pulled out Wednesday after Labor Day. The weather for the month was beyond expectations. It was cooler, no doubt, but with little to no humidity. Also barely a drop of rain. We are on our way to Maine.